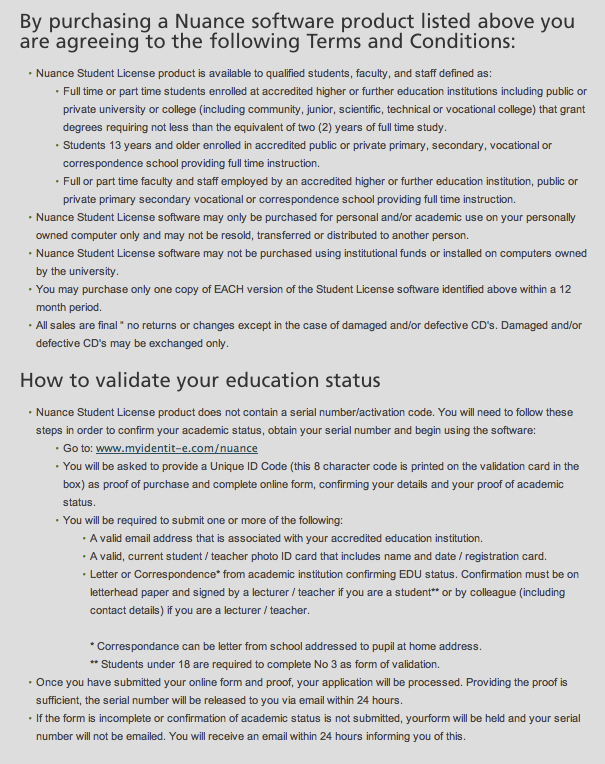 Nuance Student & Teacher software requires additional submission of academic proof to Nuance after the product is received to obtain a serial number. Eligibility requirements. Whether you're creating documents, spreadsheets, presentations, sending emails, filling out forms or simply looking to reduce typing stress, the all-new Dragon Professional Individual for Mac drives new levels of productivity at work or wherever your job takes you. Dictate and transcribe documents with a fully customizable experience that optimizes speed and accuracy. Dragon empowers you to work even more quickly and accurately by voice with support for Full Text Control within the latest business applications such as Apple Pages, Apple Keynote, Apple Numbers, Microsoft Outlook 2016, and Scrivener. 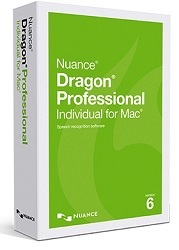 Dragon supports Nuance-approved digital voice recorders and smartphones for advanced recording functionality and can automatically transcribe the audio files to text back at your Mac. It leverages all the accuracy improvements gained from the state-of-the-art speech recognition engine for fewer post-corrections. Dictate up to three times faster than typing make edits and apply formatting using your voice. You can select text and apply formatting such as bold, underline, capitals and more, or just speak to make needed changes. Smart Format Rules automatically adapt to how you want abbreviations, dates, phone numbers, and more. Processor: Intel® Core 2 Duo 2.4 Ghz or faster processor - Intel Core i3, i5 or i7 recommended. Brings the safety and convenience back to newer MacBooks and other laptops with USB-C type connectors.